Cryptocurrency is taking over the music industry. On Thursday, the blockchain asset management firm Bitmark announced a new partnership with KKBox, one of Asia’s largest music streaming companies that also organizes concerts and live events. Together, they are creating a blockchain-based music rights platform to pay artists immediately, starting with dozens of Asian artists such as Khalil Fong and Diana Wang. Bitmark isn’t the only one with this idea. The Los Angeles-based blockchain startup Vezt raised more than $4.7 million through token sales leading up to the launch of its royalties management platform. The Vezt platform is scheduled for a beta launch this spring. 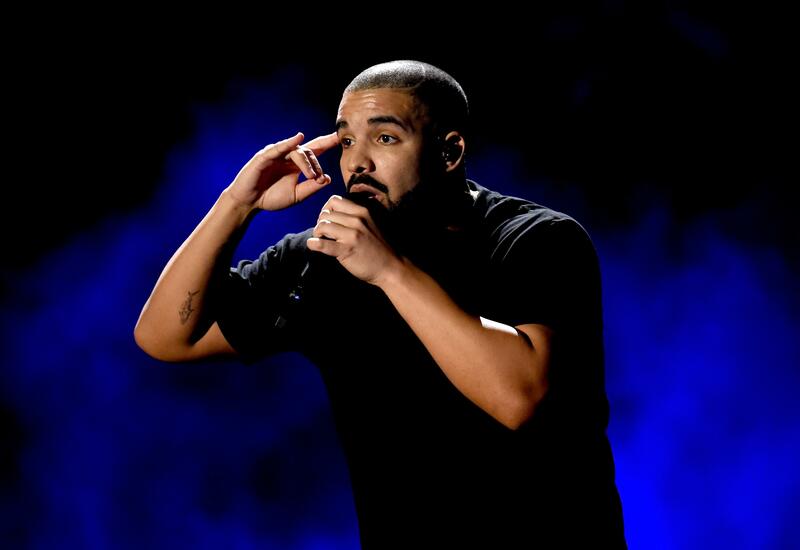 They’ve acquired almost 30 songs, including hits by Dr. Dre, Kanye West, Jay-Z, John Legend and Drake. 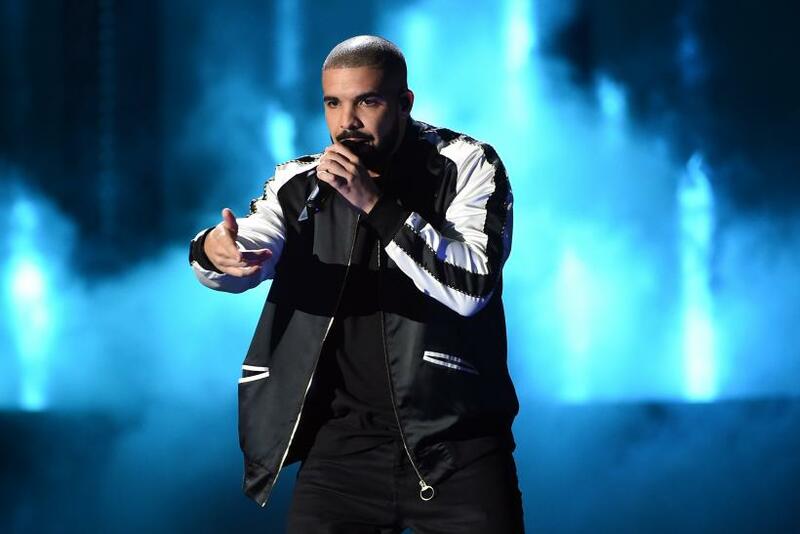 In 2017, Drake’s song ‘Jodeci (Freestyle)’ was the startup’s first “initial song offering.” Vezt CEO and co-founder Steve Stewart told International Business Times his team is still busy building the online platform. Many blockchain companies are launching cryptocurrency platforms for the music industry, from SingularDTV’s SingularX to the iTunes-inspired BitTunes. They target some of the biggest pain points in the industry: It can take months for everyone who worked on a song to get paid. There are dozens of middle men who chip away at the artists' earnings along the way, from concert revenue to royalties. Cryptocurrency can create transparent systems for immediate payment processing. It’s common for up to 20 people to create a single song, so royalties are a huge issue for contributors who aren’t already pop stars. The Recording Industry Association of America estimated revenue from streaming services accounted for nearly 62 percent of the market in the first half of 2017. “If I’m the drummer who owns five percent of the song and I want to put that up for $10,000, [now] I can do that,” Stewart said. “As a drummer that owns five percent of one song, I’m not going to get a label deal or a publishing deal.” This could offer a new way for musicians and other creatives to build sustainable freelance careers. However, there are a multitude of obstacles cryptocurrency advocates must face. First, there’s the hurdle of getting less tech-savvy fans to pay for music, concert tickets or song royalties with cryptocurrency. It takes many more steps than just paying with cash. 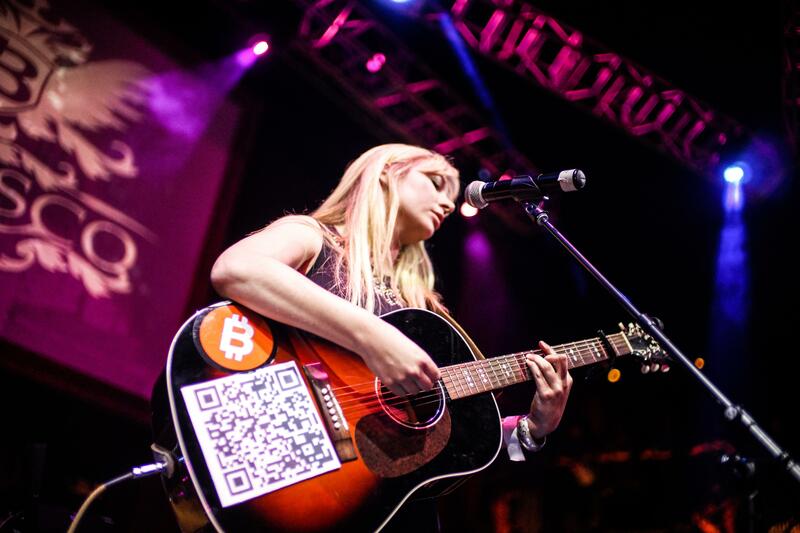 Recording artist Tatiana Moroz made one of the first music industry cryptocurrencies in 2014, the bitcoin-based TatianaCoin, to crowdfund an album that cost around $20,000 to make and promote. TatianaCoin was simply for fundraising, like buying a coupon or voucher for her music. She told IBT educating fans and grappling with bitcoin transaction fees were huge barriers. As an indie artist, she also faced several challenges a pop star or big name music label might not have. “Making it is easy. Making it intuitive is hard,” she said. “Unfortunately the credit card company shut us down because the banks told them they had to. None of the banks wanted to work with us. Some people work it out. It’s not impossible. But it is definitely very challenging to try to educate them [banks].” Regardless, her token still works today. It is arguably the longest-lasting cryptocurrency so far in the music industry. This experience inspired her to join the blockchain startup Tokenly, which aimed to provide a like-minded platform for artists. This model is much closer to SingularDTV’s approach. But Tokenly delayed its public launch due to legal concerns. A security is a tradable financial asset, like stocks, bonds or mutual funds. Securities can only be sold to accredited investors or to the public through accredited institutions. The U.S. Securities and Exchange Commission hasn’t offered clear guidelines for what exactly classifies a cryptocurrency as a security. 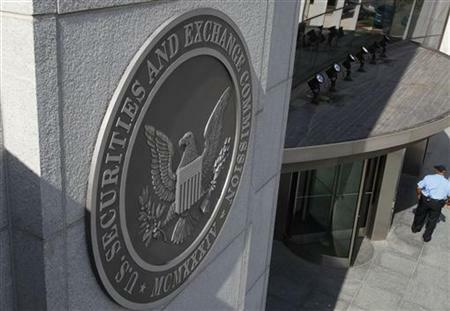 However, SEC has started cracking down on a few token sellers who didn’t register their offerings as securities. “If you do a cash payout with a token that is increasing in value, that does not pass the Howey test. That is a security,” Willard said. “I would be careful about that, about cash payout.” If a publishing house owns part of the legal rights, it becomes a totally different ball game. Right now it’s hard to say which legal categories diverse music industry tokens fall under. All this might already seem like a legal nightmare. It gets worse. “Not every token seller is necessarily a money transmitter, but there are circumstances under which you may need to register as a money transmitter or basically a merchant payment processor with FINCEN [Financial Crimes Enforcement Network],” Klayman said. Plus, it’s still unclear how users would report their extra income. Yet many skeptics are excited about how cryptocurrency is changing the music industry. Willard pointed out cryptocurrency could guarantee artists have control over scalping, since each token automatically distributes payment and registers transactions on the blockchain. Token prices could automatically rise closer to the concert. There would be no way to transfer the ticket without paying the artist a cut. Along those lines, what if a copyright token was an Ethereum-based smart contract, an independent asset regardless of any startup’s platform? Everyone who uses this tokenized song would pay a fee to a robot on the Ethereum network, for lack of a better analogy. The robot would automatically distribute money to every token holder related to that particular contract address. As long at the Ethereum network kept running, startups wouldn’t need to maintain a marketplace. The concept of diverse music tokens is rich with potential, despite the road to mainstream consumer adoption being full of legal potholes. 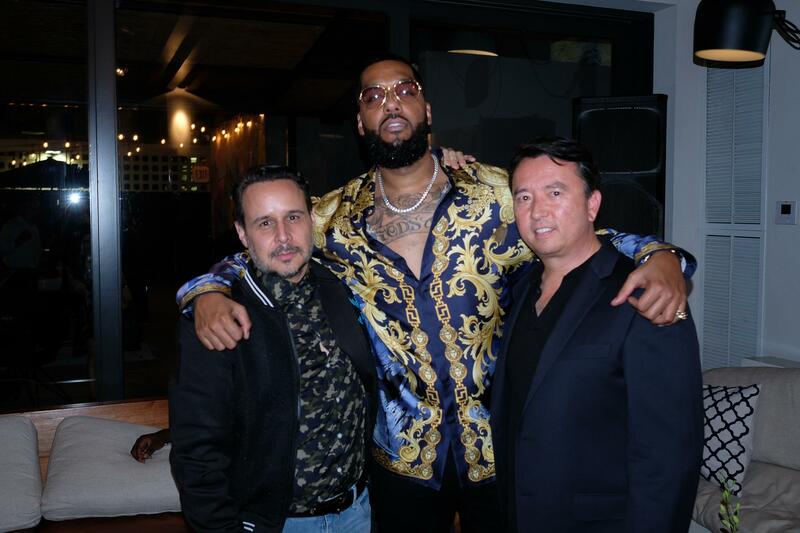 To its credit, Vezt is run by a team of seasoned music industry professionals who spent decades working with legendary artists and record labels. Meanwhile, Bitmark is partnering with CTBC Bank in Tawain to start with fiat payment processing, focusing on a blockchain system for legal rights and clear record-keeping. 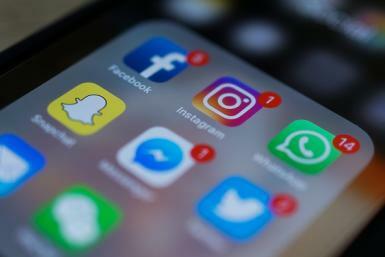 This is itself an important issue, as proven when a group of artist sued Spotify to the tune of $1.6 billion for uncompensated use of licensed music. Editor’s note: This is not investment advice. Any following statements are not legal pronouncements or endorsements regarding any specific project. This article is merely an illustrative reflection of the opinions expressed by interviewed experts.